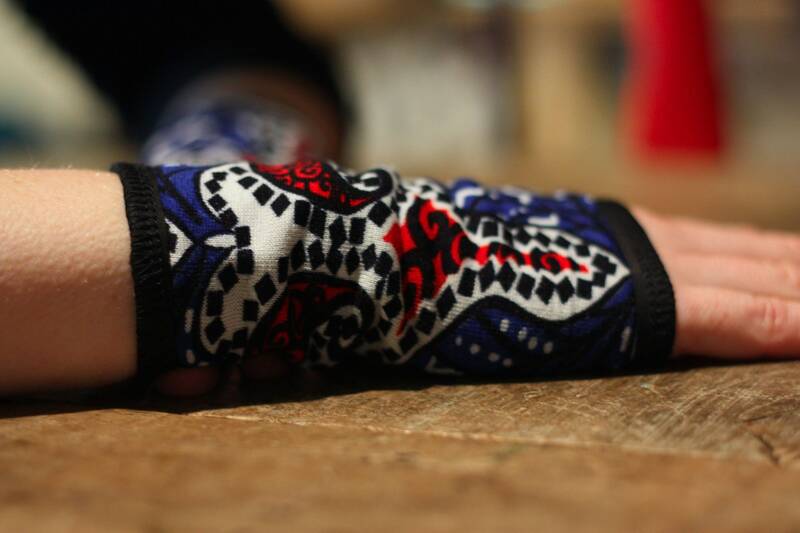 Cuff/glove short adult very soft cotton Jersey. 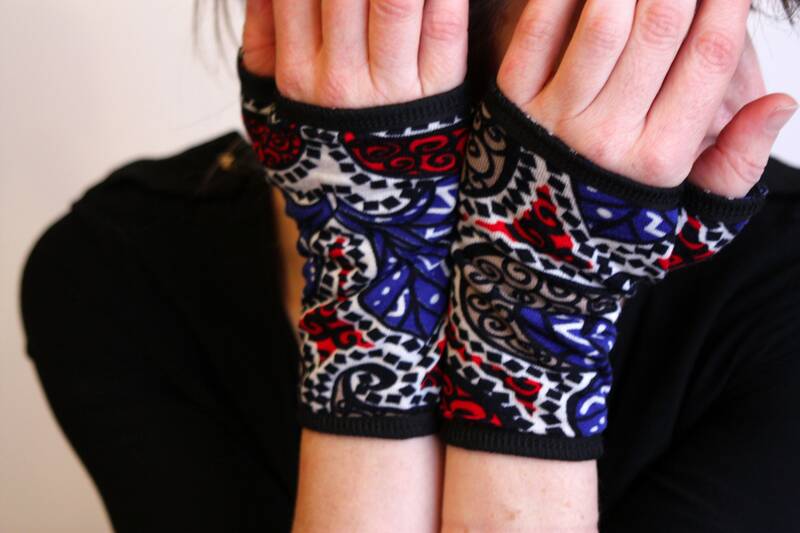 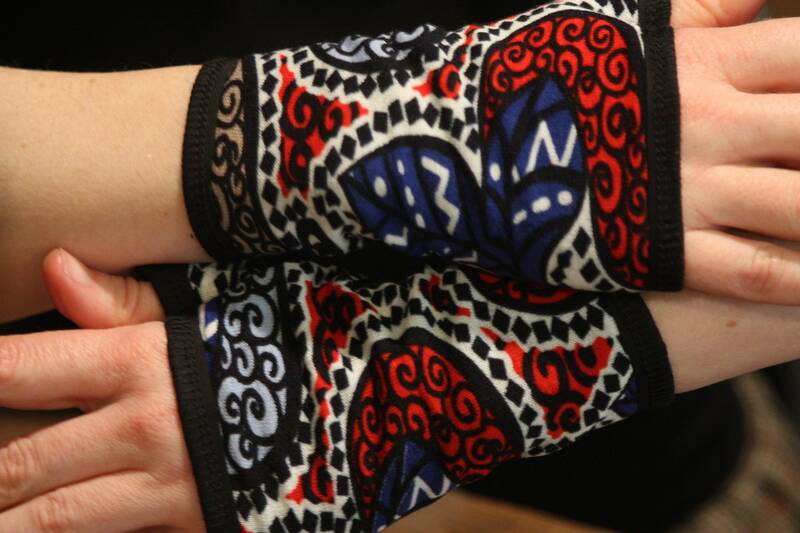 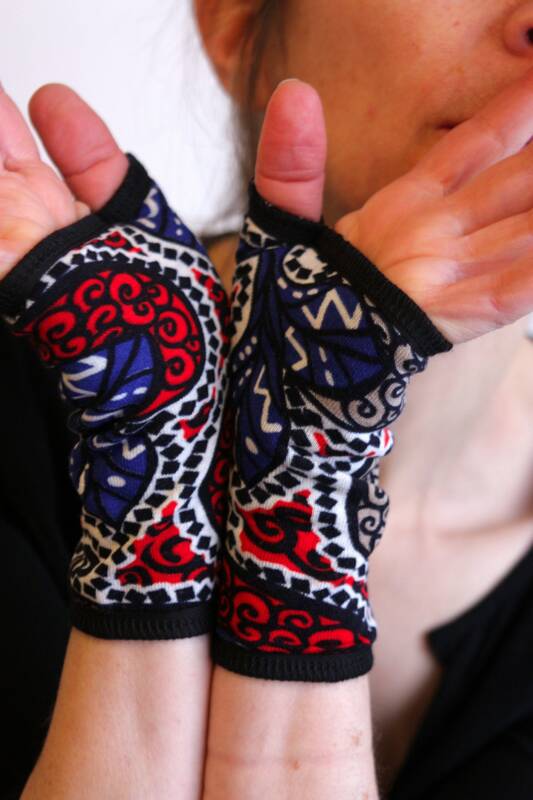 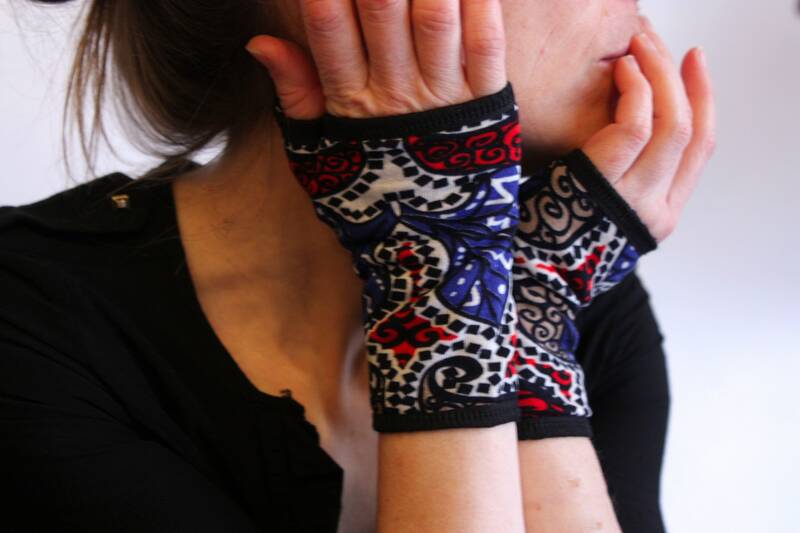 Black/blue/red graphic Arabesque Tribal patterns. 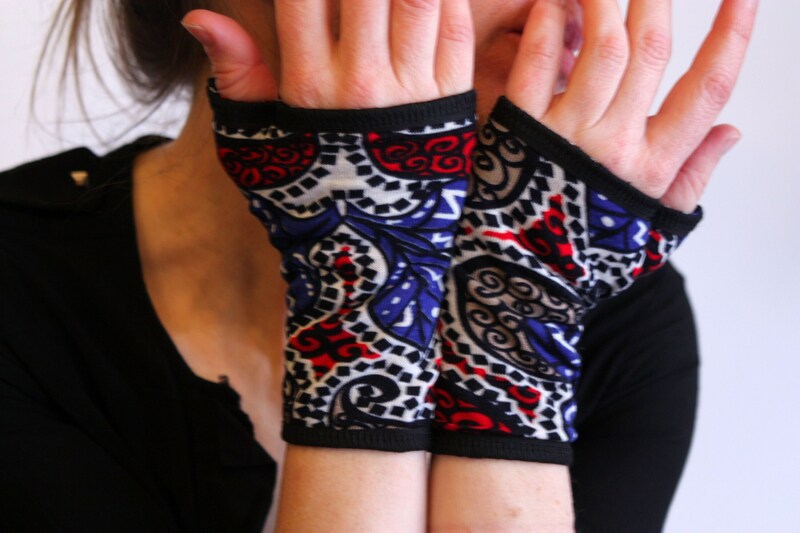 We choose soft, comfortable material and beautiful quality associated with varied prints. 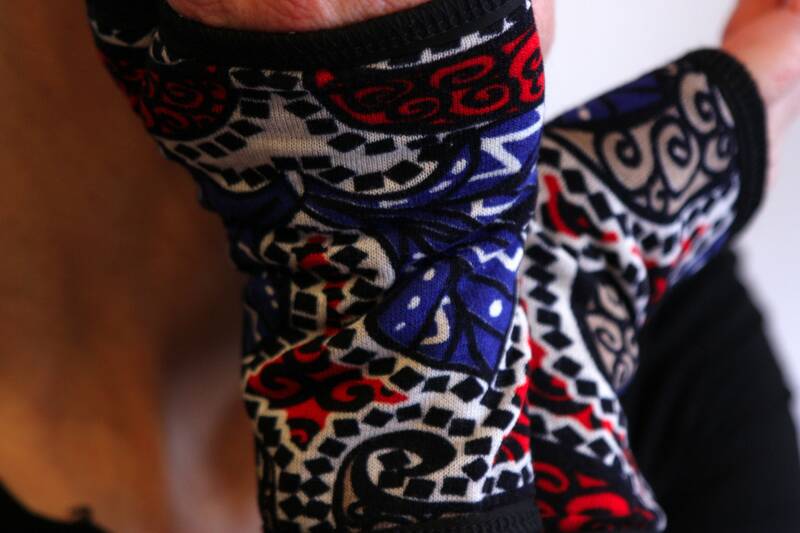 the finishes are made with a black Lycra.